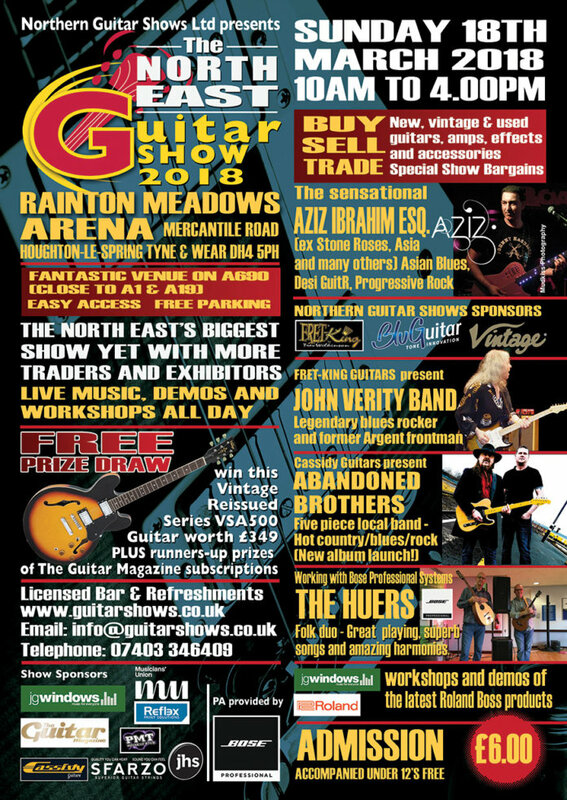 For 2018, The North East Guitar Show returns to the superb, purpose-built event complex at Rainton Meadows Arena, Mercantile Rd, Houghton-le-Spring DH4 5PH, and will be on Sunday 18th March from 10am to 4.00pm. This prestige and spacious location is close to all the North East major routes, provides superb facilities and has the advantage of easy load-in for exhibitors, excellent catering, licensed bar and free parking. 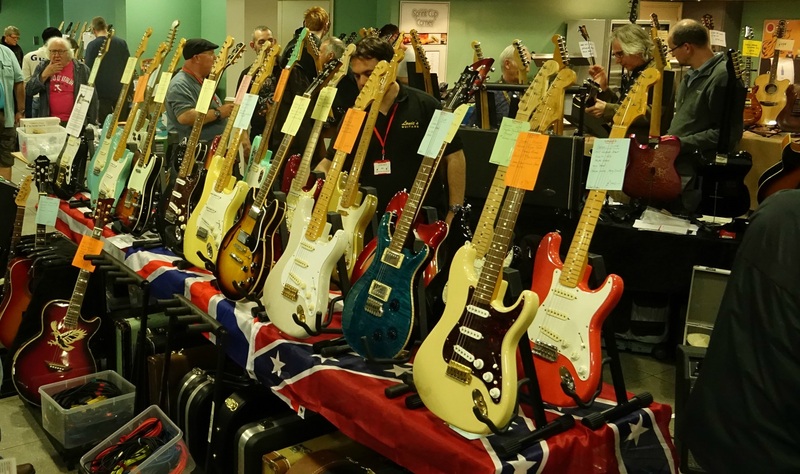 With space for more than 100 dealers the show is a wonderful opportunity to buy, sell and trade new, vintage and second hand guitars, amps, effects and accessories. There will be bargains and special show deals. Free appraisals of instruments and amps will be available. There will be bands, duos and solo performers all day in the live music pavilion including the amazing Aziz Ibrahim (Stone Roses, Simply Red), The John Verity Band, Abandoned Brothers and The Huers folk duo. The event is sponsored by J G Windows, PMT, BluGuitar, Fret-King Guitars, Vintage Guitars, The Guitar Magazine, Reflex Print and the Musicians’ Union. PA is provided by Bose Ltd. 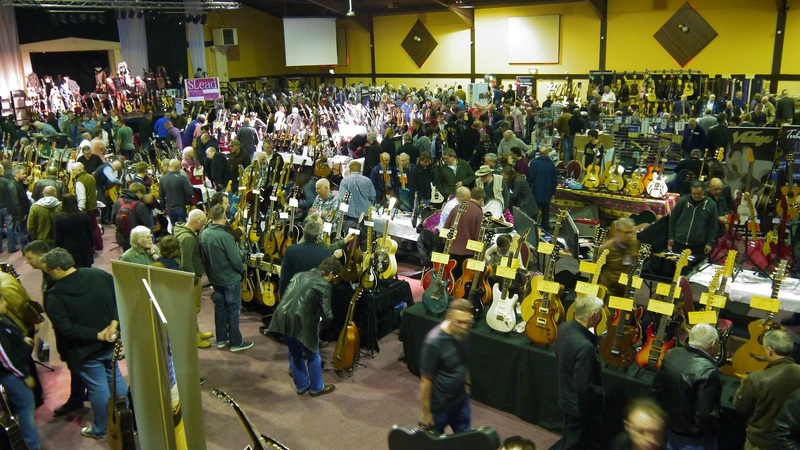 Many major retailers and distributors will be attending together with a host of second-hand and vintage dealers, parts suppliers and luthiers. The Show promises to be a treat for any guitar enthusiast. Café and licensed bar. Free parking. Public admission £6 at the door. Enquiries 01925 813185. Visit www.guitarshows.co.uk for more information.